Credit: Michael Caulfield / FOX. 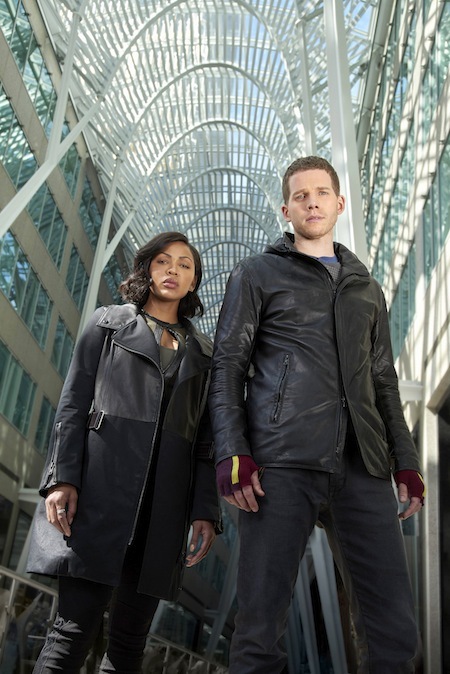 Fox is looking to the future (the year 2065, to be exact) with its upcoming fall drama, MINORITY REPORT. The series — which is a continuation, of sorts, of the 2002 Tom Cruise film with the same name — stars Stark Sands as a precog, Dash, who is able to see the future….and is driven by his visions of future crimes to find a way to stop them. Enter Meagan Good’s Detective Vega, who is (reluctantly) willing to help him in order to help people in need. 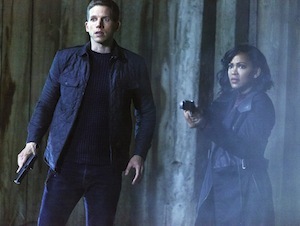 MINORITY REPORT — a television show adapted from the 2002 Tom Cruise film — is coming to Fox this fall.